New low down payment jumbo loan programs are now available for luxury home buyers in Portland and throughout Oregon. 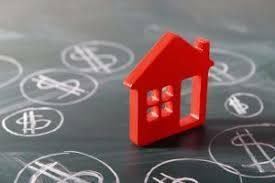 These programs allow for reduced down payments and are especially helpful for buyers that have good credit and income but lack the 20 percent down payment often needed by most lenders and banks. Today qualified homebuyers have jumbo financing options up to 95%. The best part is these programs have tremendous flexibility and very low-interest rates. Buyers should understand a few details about the programs that we will list below. If you have questions, please call ph: 800-962-0677 (7 days a week) for more details. All 5% down options are reserved exclusively for owner-occupied primary homes and vacation homes. Investment properties can be financed with a minimum 20% down payment. Borrowers will be required to document all income and savings in order to qualify – just like a traditional conventional loan. “Debt to income” limits and payment reserve requirements are set based on credit profile, down payment amount and loan amount. Single Family homes, townhome and condominiums are eligible. Vacant land, acreage, or building on your lot is not permitted. 95% loan to value – $2.0 mil loan cap. Minimum 700 credit. Loan above $1.5m requires 740 credit. 90% loan to value – $3.0 mil loan cap. Minimum 720 credit for loans above $1.5, 680 credit for loans under. 85% loan to value – $3.5mil loan cap. Min credit range from 660-740 depending on loan amount. 80% and below – contact us to learn more. All traditional fix rate and adjustable rate terms available. No mortgage insurance or “PMI” costs, even for loans over 80% loan to value. Rate-Term refinance transactions are permitted for current homeowners. Cash-out refinance transactions are also eligible but limited to 90% loan to value. Qualified Veterans and active duty military also have exclusive VA Jumbo Financing options available. Closings in as little as two weeks.